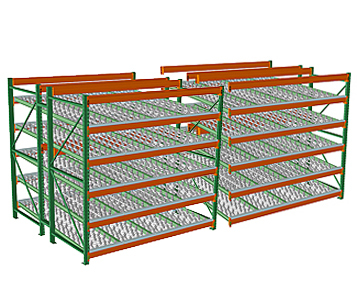 Bulk storage space on top beams while lane-free flow takes place below. 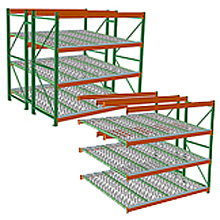 When first installing flow rack, you'll want to order one starter rack to begin each row of flow rack. Then, as you expand the length of your initial row, adders connect to the starter rack to create a long row of flow rack.